William H. Jenkins Jr., the older brother of New York Giants cornerback Janoris Jenkins, was charged with aggravated manslaughter after a body was found at the player's home in Fair Lawn, N.J. Earlier in the day, authorities said they were waiting to interview someone they called "a person of interest." 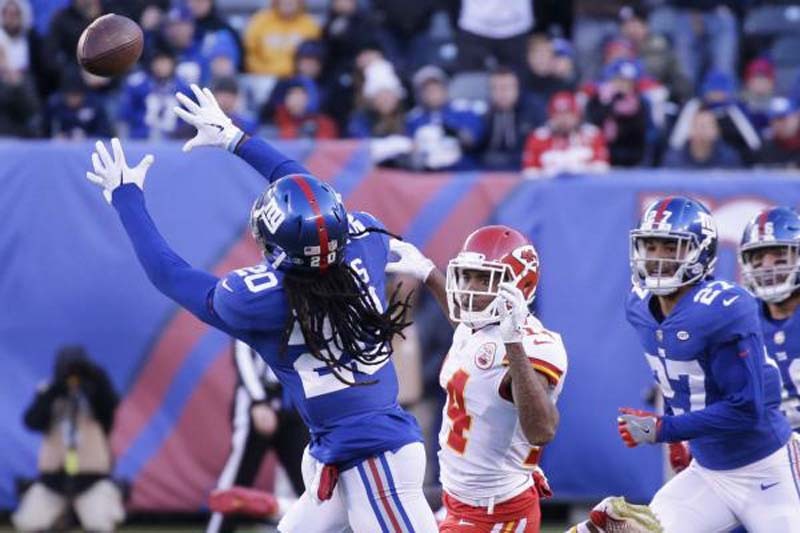 Janoris Jenkins, entering his seventh season in the NFL and third with the Giants, reportedly has been in Florida since the team ended minicamp two weeks ago. He has been advised by his attorneys to remain in Florida. The victim was identified Roosevelt Rene, 25, a Jenkins family friend who had been living at the house, according to the Bergen County Prosecutor's Office. Wiliam Jenkins is in custody in Ontario County, N.Y., after sheriff's deputies detained him Tuesday for an alleged parole violation, Ontario County District Attorney Jim Ritts told the NFL Network. Before charging him, Ritts said William Jenkins was considered "a person of interest" by the Bergen County Prosecutor's Office. If convicted on the first degree manslaughter charge, William Jenkins could be sentenced to 10-30 years in prison, Bergen County prosecutors told NFL.com. Police and the Bergen County Prosecutor's Office are investigating the death as a possible strangulation/suffocation incident, according to ESPN. Jenkins' home is located about 10 miles north of MetLife Stadium in East Rutherford.